Whether you are in a new development, or an established neighborhood, everybody needs something to look at other than blank house walls, wide spans of fence, and apartment buildings. The answer is a ‘screening strategy’. Proper screens borrow from the planting strategies to minimize wind and noise on farms and busy city streets respectively. There are many plants that can serve this purpose here at the nursery. 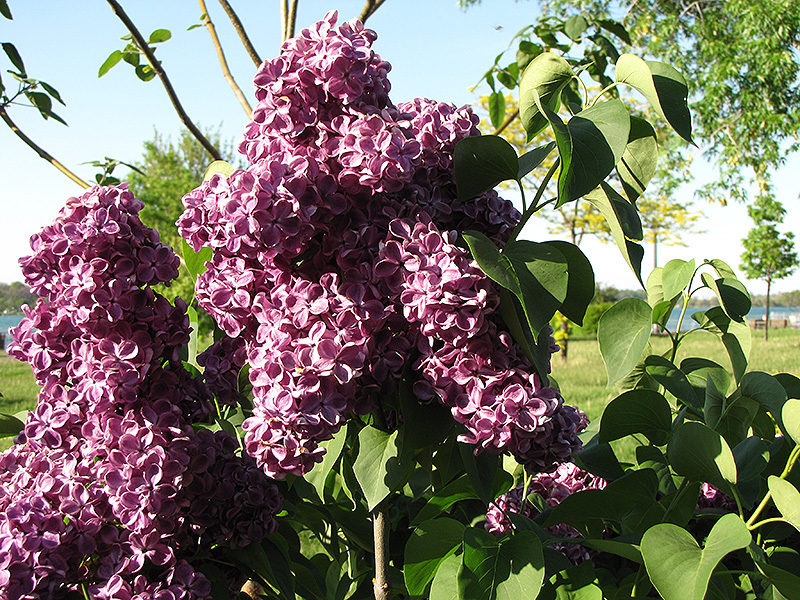 For instance, Preston lilacs that are non-suckering can be planted very close to fences and trained to become mini-trees creating a beautiful ‘lollipop’ form – especially when in full bloom. 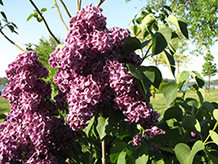 This also eliminates any risk of a grafted form failing during an especially harsh winter. They can reach heights between 5 and 12 feet tall. If you need tall accents that will shroud large structures from your background view, then the tried and true Swedish aspen is still quite useful. This can reach heights of 60’, yet stay very narrow, assuming that you ‘limb it up’ to a height that one can walk under. It does not sucker like its cousin the poplar. Recently we wrote another blog on urban trees – so see those recommendations if you would like a wider crown in an urban tree that will be only 20-25’ in height. Another great screening plant that will turn red and orange in the fall are both the amur maple, in shrub form, as well as leaving a Cotoneaster to grow upright and natural (rather than trimming it as a hedge). If you would like flowers and berries, then the elder (Sambucus genus) offers some nice forms that can be understory medium shrubs that will punctuate your beautifully well built privacy fence. If you need privacy and defence (thorns), then a wilder Caragana hedge can solve the planting issue of poor soil – it fixes its own nitrogen to self-fertilize. Even large perennials and annuals that reach up to four feet tall (or more) can offer some privacy if you are trying to hide an area on a site-line that is not especially attractive (shed, chain link fence, pool filters, etc.). Fleeceflower, goatsbeard, Ligularia c.v., sunflowers, delphiniums, and hollyhocks are all useful plants that will ‘elbow’ their way into taller gaps that need filling. CUP AND SAUCER VINE WILL GROW UP ALMOST ANYTHING QUICKLY TO MAKE A FANTASTIC LIVING SCREEN.